These look great! Would you consider creating a 3 disc, main features only, whole-trilogy-in-one-box variant in the same style? I love these huge sets, but they’re rough on my ink/disc supply, especially considering how rarely I watch the special features. I know what you mean about special features! I will be posting source files soon and it would be very easy to delete the secondary disc info or features info and print without. Once the project is complete I can make public alterations if needed. What is the best software to extract video and audio files from an mkv container and convert them to mp4/mp3/aac/etc. without loss of quality. My video has 8 audio tracks and I would like to end up with 9 files (1 video, 8 audio) I have been messing around with searches and various software but I cannot find the best way to make this happen. Need some experienced answers here. I appreciate the help. I’m shooting for file formats that are accepted by adobe encore. I’m running a Star Wars beer dinner at the brewery I manage on May 4th. Worked more on my cover concept. 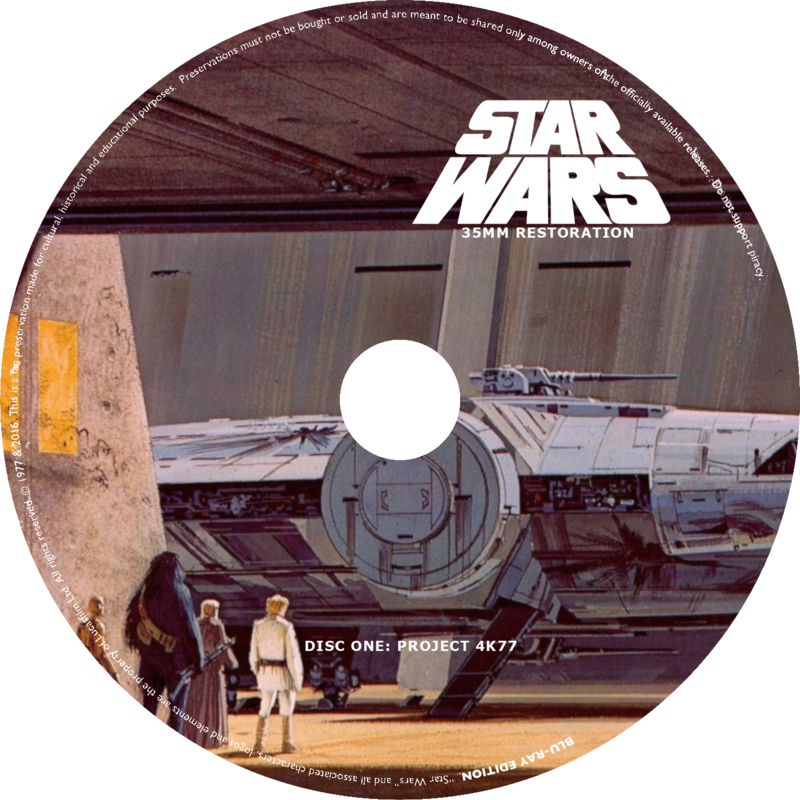 What would be the features on this disc? Also. How do I make the images appear on this page instead of just a link? Awesome cover! I don’t think TN1 release any features with the disc. It has audio and subtitle selection. I posted some details on a cover in the thread below (35mm restoration). How do you make your cover appear on a Blu Ray case? Is it a program or legit photography? These are really clean looking! I like these better than all of the covers I made! I like the 3 disc set cover you did for the 4Kxx set. If I wasn’t trying to match up to the criterion set, I’d most certainly use your cover and disc art. I love these! Will you also be putting out covers for the UHD version of the 4Kxx releases, rather than 1080p? Yes, I will make a UHD set for the 4kxx discs. I’ll start them after this set is done. So far so good! Have you considered doing 3 different logos on spine? 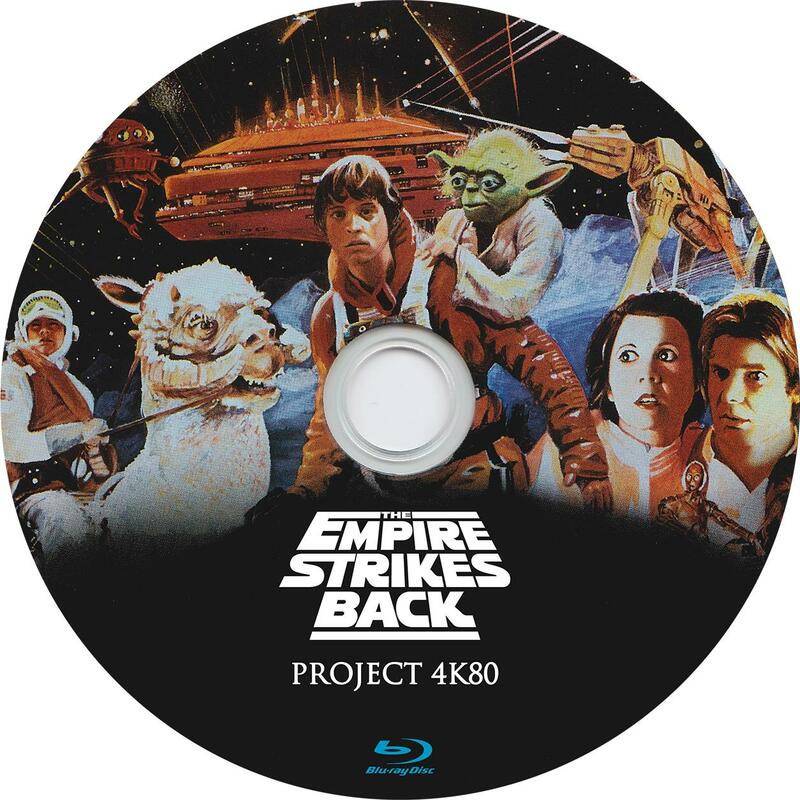 Like Star Wars would have the Rebel Logo, Empire Strikes Back has the Empire logo, and Return of the Jedi has the Jedi logo. I have considered this and I think it would look great. However, because the NJVC set I just finished is all rebel logos, I kept the logos all the same for this set. I would like to create a third box set after this project that utilized different artwork and different spine logos. Try this one if you are looking to burn the discs. Has all the great bonus features and documentaries. When I joined this forum recently, I was blown away at the dedication and personal involvement by so many members. I immediately fell in love with so many of the projects, restorations and artwork found beyond every click. I recently finished my Criterion NJVC boxset based on the hard work of JMoomer, Stealthboy and Wombat_94. 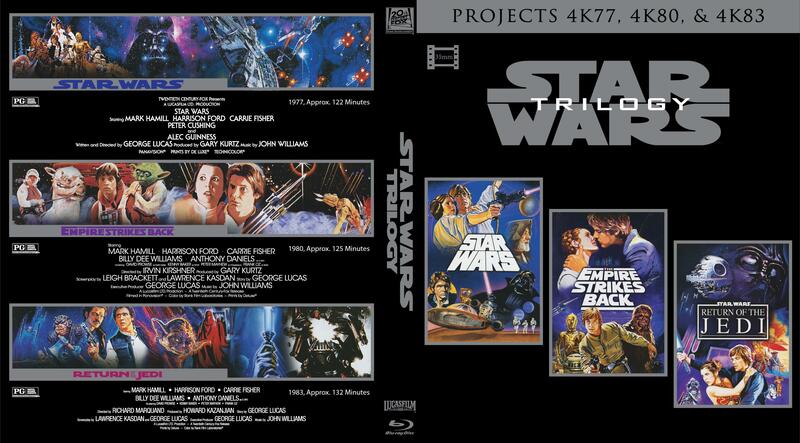 With the releases of Project 4k77, 4k83 and the eventual release of 4k80, I was inspired to continue the work of the users mentioned above to create a complementary boxset to the NJVC criterion version listed in this post https://originaltrilogy.com/topic/Criterion-like-box-set-for-njvcs-custom-blu-ray-set/id/53517. This new set will consist of 7 discs and be constructed in matching fashion. Each case will contain the TN1 project 4kxx disc, the grindhouse/silver screen equivalent and the 4k83 bonus features disc. 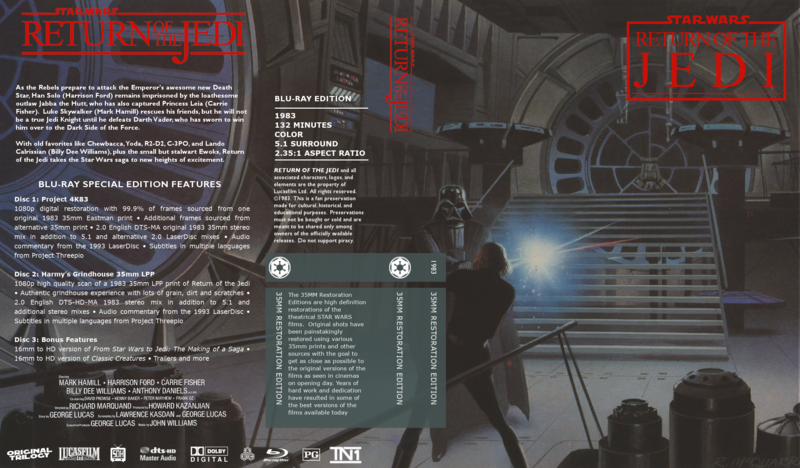 ROTJ will contain Hamry’s grindhouse LPP as TN1 has not/will not be releasing a version. I am by no means a talented user of photo editing software. I used the source files provided by stealthboy to serve as the platform for minor alterations. I replaced the rebel logos with imperial logos for this new set. 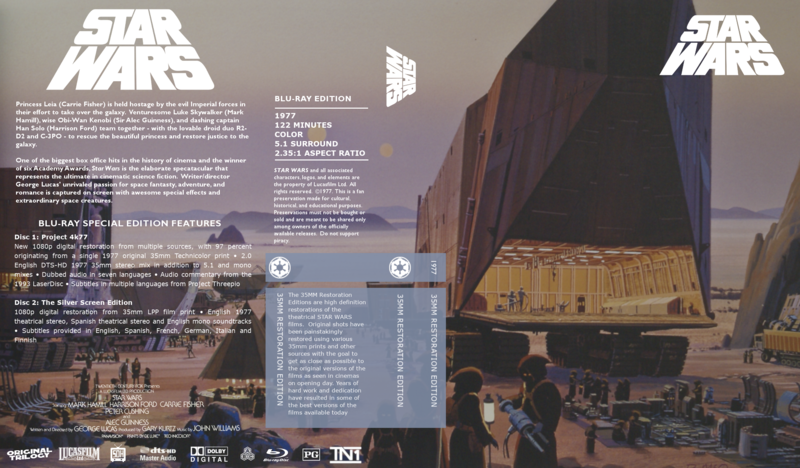 I used additional Ralph McQuarrie artwork of high resolution not found in the other boxset. I edited the text details to match what current information I could find on the releases included. 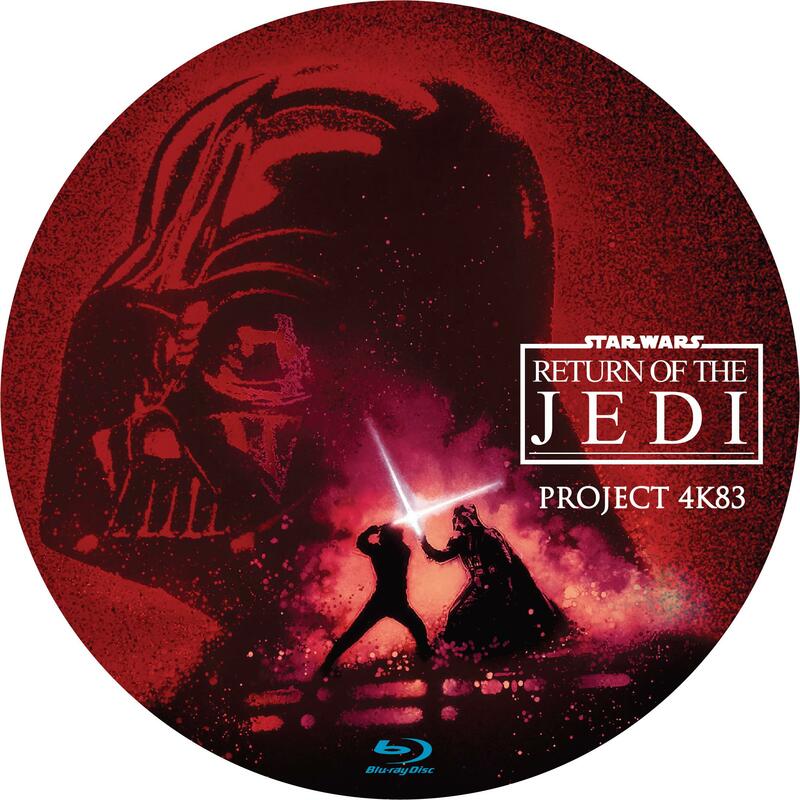 Any release not found in ISO format is being authored to blu-ray currently (ROTJ Grindhouse & the 4k83 Bonus features disc). This project is not completed as of yet, however, I wanted to share the initial covers and gain feedback and insight as to the technical details of the releases/sources that I have missed. Your feedback is valued in completing this project. I will share the source files as progress continues. Please do not PM me about creating a set/selling a set/etc. Again, props to JMoomer, Stealthboy and Wombat_94. They deserve all the credit for the minor alterations I have provided. Thanks for your amazing work! Can I please grab a link? Perfect. Thank you! I will share the project when finished. Is there a TN1 logo floating around out there? I was hoping to use it for my 35mm restoration boxset I am creating. 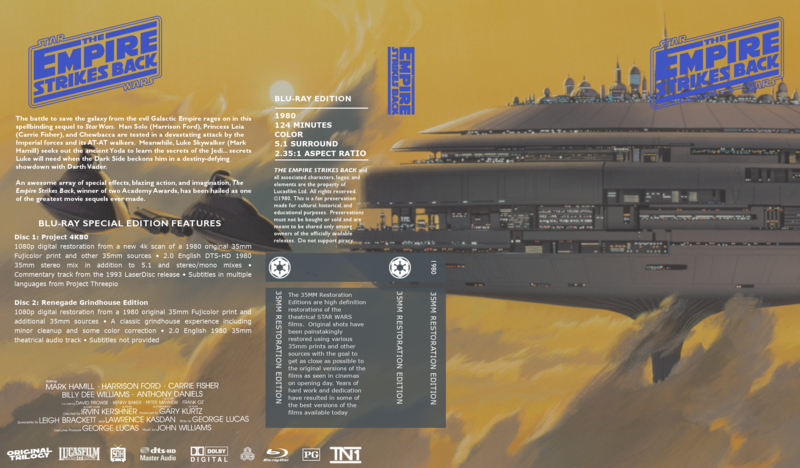 Complete Saga Blu Ray covers (TPM to TLJ) Picture heavy post! 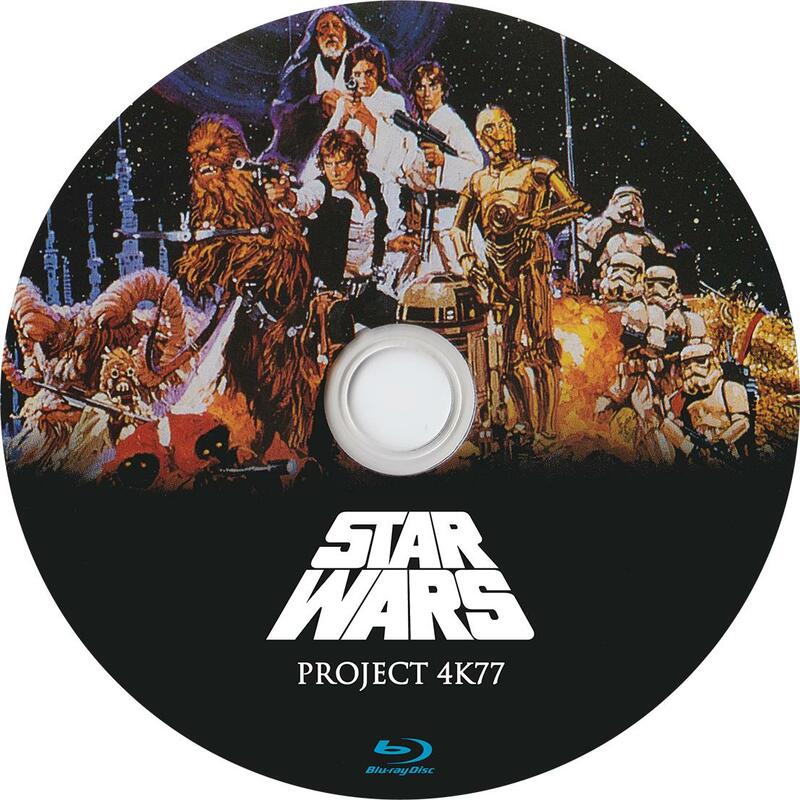 I just did a trilogy cover and disc labels for 4K77, 4K80, and 4K83 using only artwork from the 2006 official DVD release that I scanned. I’m open to critiques! I like this a lot! Can you make the 4k83 disc match the other two? 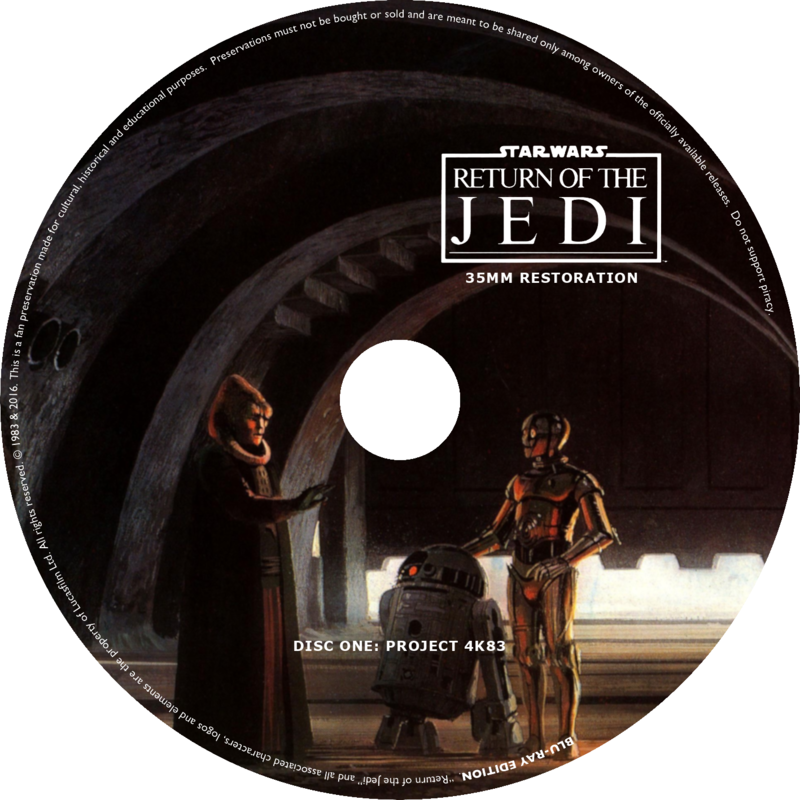 Edit: I didn’t realize that the ROTJ artwork is actually from that same release set. My mistake and great work. Best of luck on the project. This is very cool and I will be following the updates! Is anyone able to help me acquire V2 for my personal trilogy project? I appreciate the help in advance. Edit Found a copy! Thank you!